Are you suffering from shortness of breath and a mild pain in the front region of your chest? Look out, for it may be a case of Cor Pulmonale that you are having. 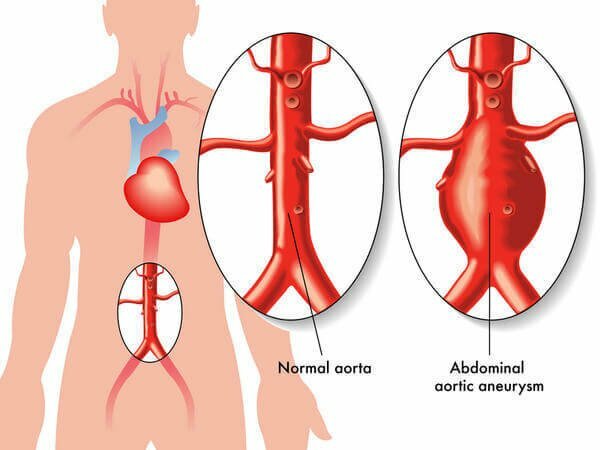 Read on to know all about the causes, symptoms, diagnosis and treatment of Cor Pulmonale. It is a condition that leads to the expansion and failure of the right ventricular chamber of the heart. This disorder is also known as Pulmonary Heart Disease or Right-sided Heart Failure. This condition is usually a result of high blood pressure in the right cardiac ventricle and the pulmonary arteries for an extended period of time. Any disease that results in Pulmonary Hypertension or high blood pressure for a prolonged duration in the arteries of the lungs can cause strain on the right part of the heart. Due to this pressure, the right ventricle can slowly grow in size and get damaged or exhausted and fail to carry out its function properly. The inability of the right ventricle to pump normally under excessive pressure is known as Cor Pulmonale. These conditions can lead to low level of oxygen in blood for a prolonged duration thus leading to Cor Pulmonale. Smoking cigarettes may also give rise to this condition by reducing oxygen supply to the lungs. Prolonged cigarette smoking can cut down oxygen intake of the lungs and give rise to this disease. There may also be some underlying symptoms like coughing and wheezing. Low oxygen level in the bloodstream may also provide a bluish tinge to the skin, particularly at the nail beds. In the later stages of the condition, sufferers may also experience other symptoms like increase in liver size, chronic wet cough, wheezing and accumulation of fluids in the abdomen (ascites). Doctors may also carry out cardiac catheterization or lung scans to detect the degree of pulmonary hypertension and whether there is any structural damage in the right ventricular chamber of the heart. These are useful in curing early stages of the disorder. These drugs are administered orally to patient of the disorder. The drug may be inhaled or entered into the system through injection. Doctors may also use anticoagulant (blood thinning) medications to reduce the discomforting symptoms from this condition. In extreme situations, surgical operation may be required to reverse the shortcomings of the heart that have caused the condition. In cases where the condition fails to improve despite medications, surgery may be needed as a remedial measure. A heart-lung transplant or simply a lung transplant may be needed to treat very advanced cases where there has been substantial damage to the lungs or the heart. If a surgery is not timely carried out for Cor Pulmonale heart failure may occur. The prognosis of the disease depends on the underlying condition. If a complicated disorder is the causative factor, outcome may take a long time. Oxygen therapy may help reduce the symptoms and improve stamina as well as chances of survival. Curing Primary Pulmonary Hypertension can result in improved stamina and longevity. When treated well, the condition can go away faster and without any cases of recurrence. In some cases, it may be difficult to cure this condition altogether. This is true if the person suffers from incurable disorders like Cystic Fibrosis. In case of Progressive Pulmonary Hypertension, this disorder may give rise to a number of complications such as shock, severe fluid retention and life-threatening dyspneic difficulties. Unless treated time, there may even be death of the sufferer. This disorder usually remains chronic. This is a complicated disease that needs careful monitoring and treatment. It is necessary to avoid all such conditions that may give rise to chronic lung disorders. Drastically cutting down cigarette smoking or avoiding it altogether may help prevent this disorder. Heart murmurs in children should be carefully analysed to prevent later incidence of this syndrome. High blood pressure is the main cause behind this condition. It is important to keep high BP in control with the aid of medications and meditation. Practicing yoga and meditation can relieve stress that usually causes an increase in blood pressure. Be regular with your workouts. Ask your doctor if it is okay for you to exercise. Some patients, especially those with pulmonary heart disorders, cannot exercise. If you have severe heart conditions, intense workout is not possible. However, walking for a short distance can also do you much good and keep your system active and fully functional. If you suspect yourself to be having Cor Pulmonale, get in touch with a cardiac specialist immediately. Early diagnosis and cure will help you get rid of this condition and bounce back to health sooner than later.